The Catholic Church of St Michael and St Joseph was built in Prince Gardens, at James Street, Mutton Cove. Construction began in 1859 with a nave and aisle, the foundation stone was laid 25 June 1860, and the opening celebrations were led by Bishop Vaughan on 19 December 1861 . The church was primarily intended for military catholics, for army and navy personnel. In 1984 the Church of St Michael and St Joseph was sold and the building demolished. It appears that part of the front wall of the church boundary remains standing to this day; the low wall bordering the pavement in the top image, could be the same wall bordering the pavement in the modern-day image, see right of photo below. The street cobbles in the top image are long gone; they were once all over Devonport, but now only a few side lanes remain with cobbles. 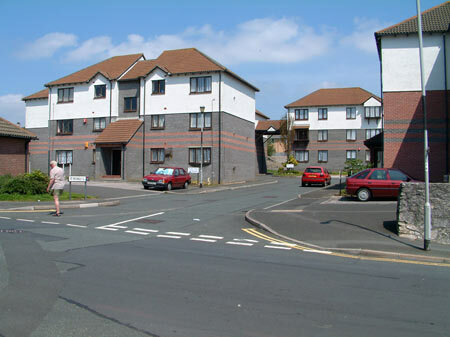 This 2002 image was taken from the same position as the early photograph; the plot now contains modern-day housing, and what was originally Prince Gardens, pre 1859, is now named St Michael's Close. In 1985 a new, replacement, catholic church was built in Devonport,  on part of the old Raglan Barracks and just 100 metres from the catholic primary school. 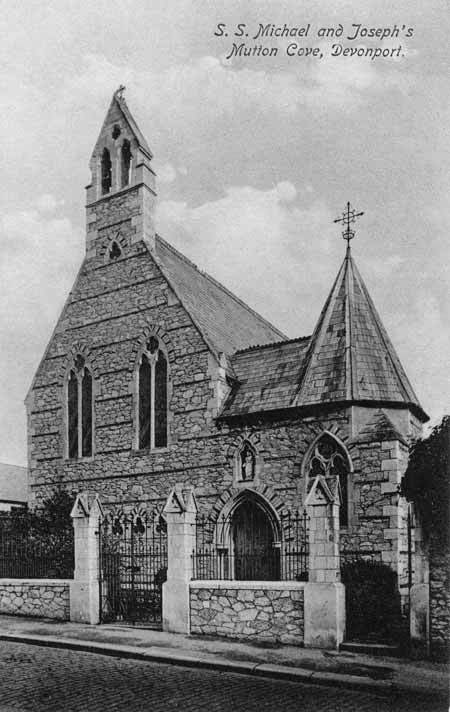 The new church was named St Joseph, with the entrance being in Raglan Road. Parts of the original church, including the foundation stone of 1860, was used in building St Josephs.